Author/Opus: This is the 259th puzzle from our contributing puzzlemaster Serkan Yürekli. 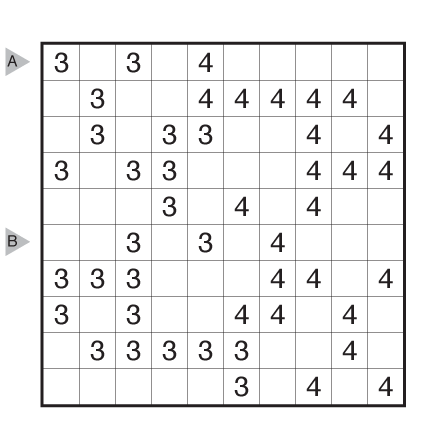 Answer String: For each cell in the marked rows, enter the number of mines (0, 1, 2) for each cell. Enter 0 if the cell is a number cell. Separate each row’s entry from the next with a comma. In the example, the answer is “022102,002000”. Note: Follow this link for classic Minesweeper puzzles on this website and this link for variations on Minesweeper puzzles. If you are new to this puzzle type, here are our easiest Minesweeper Puzzles to get started on. 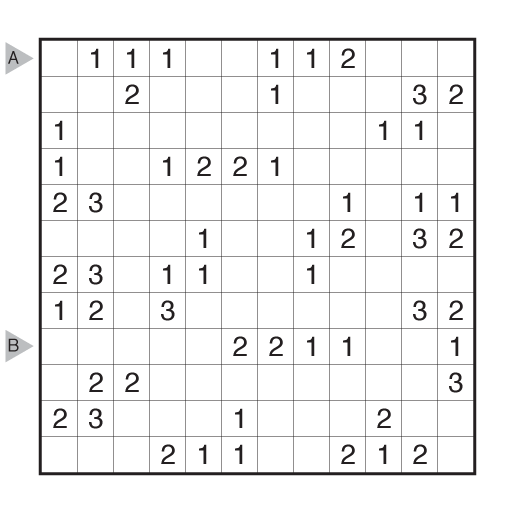 More Minesweeper puzzles can be found in The Art of Puzzles 2. Author/Opus: This is the 258th puzzle from our contributing puzzlemaster Serkan Yürekli. Author/Opus: This is the 257th puzzle from our contributing puzzlemaster Serkan Yürekli. Answer String: For each cell in the marked rows, enter a 1 if it contains a mine and a 0 if the cell is empty (or a clue cell). Separate each row’s entry from the next with a comma. The format will resemble “0010101000,1110010101”. Author/Opus: This is the 256th puzzle from our contributing puzzlemaster Serkan Yürekli. Author/Opus: This is the 255th puzzle from our contributing puzzlemaster Serkan Yürekli. Answer String: Enter the 2nd row from left to right followed by the 6th row from left to right. Separate the entries with a comma. 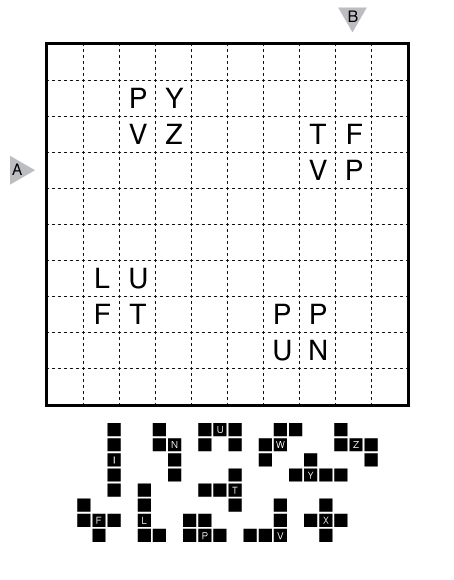 Author/Opus: This is the 254th puzzle from our contributing puzzlemaster Serkan Yürekli. 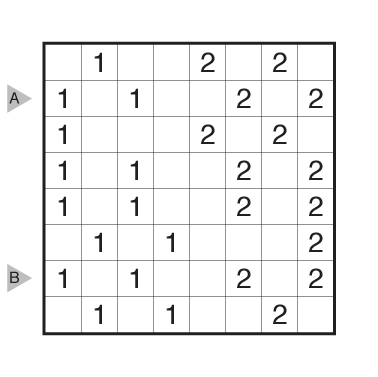 Answer String: Enter the values in each cell in the 2nd row from left to right and then in the 6th row from left to right, separating the two entries with a comma. Ignore black cells. 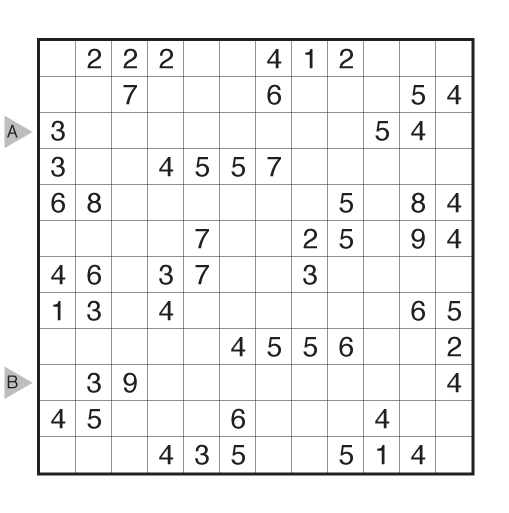 Note: Follow this link for other Kakuro puzzles. 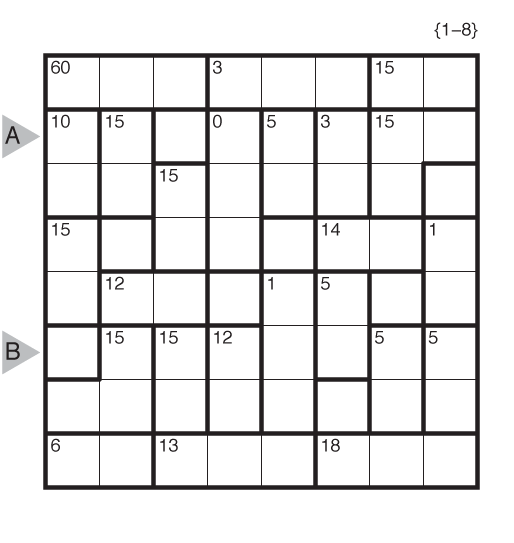 More Kakuro puzzles can be found in Kakuro and Variations by Serkan Yürekli and in The Art of Puzzles 2.